So after getting back from trekking in the Khumbu, I spent a few days in Kathmandu catching up with some friends and fellow trail mates I had met along the way. Then it was off to the Chitwan National Park in the south of Nepal and not too far from the Indian border (about 50km away) for some rest and relaxation. Due to the proximity to the border the local Tharu villages contain a mix of Nepalese hill people and migrant North Indians, so they have different cultures, houses and even languages. On my first evening in the resort we were treated to a local Tharu stick dance, it's like a form or Nepalese Morris dancing but with bigger sticks, quite entertaining. Welcome to the jungle (in my head the Guns N Roses song started playing) there are some dangerous animals out there, there are a few rules if we encounter some types of animal. If we come across a rhino and it charges, runaway in a zigzag pattern or climb the nearest tree, rhinos cannot change direction very quickly or climb trees, but they can knock them down! If we encounter a sloth bear, huddle in a group to make yourself look big, make lots of noise and beat sticks on the ground. Under no circumstance climb a tree as bears are very good at this as well. If in the unlikely event that we come across a Bengal tiger....... Pray! Do not climb trees, play dead, runaway or fight back. It all depends on the tigers mood and how hungry they are if we live or die. With that the safety briefing was over, I was handed a stick and off we set into the jungle. Unfortunately, we didn't encounter any of the afore mentioned rhinos, bears or tigers, but I did see monkeys, deer and some fresh tiger tracks, eek! I think the main danger came from the leeches and bugs. 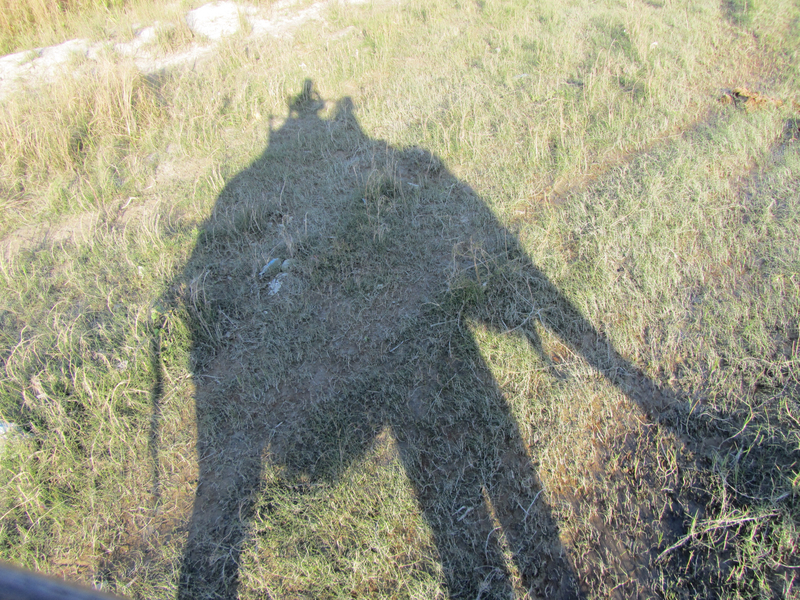 In the afternoon I got to test drive the ultimate off road vehicle.... An elephant. This baby went anywhere, 3m high grass, through dense undergrowth, sticky mud and deep water, it would put any Landrover to shame. Sadly it's top speed is not very high, it has trouble reversing and requires a ton (literally) of fuel everyday, so I'm not sure it would be practical around Bristol, that said you could park it anywhere. After getting used to the lumbering, rolling gait, it was quite relaxing to just sit back and watch out for wildlife, again I was not lucky to see any of the big animals, after 2 hours the sun was setting so we headed back, what a great end to the day. The next morning I decided to have another attempt of spotting some rhinos with another elephant ride, again it was an unsuccessful trip, but I just love wandering around the jungle, crashing through the undergrowth on these magnificent, gentle animals. All in all this was a great experience, one that I'll never forget and the elephant riding is a must for anyone coming to Nepal.